This is one I started a long time ago, which I just finished up this morning, just in time for Thanksgiving. The photos on the layouts are ones I took at our local park two years ago. I can't believe how much my kids have grown, especially my baby. I've definitely gotten better at the whole digital distressing thing. I still feel like I'm not great at it, but it was fun to play with. I hope you enjoy it! Thank you so much for this Freebie. 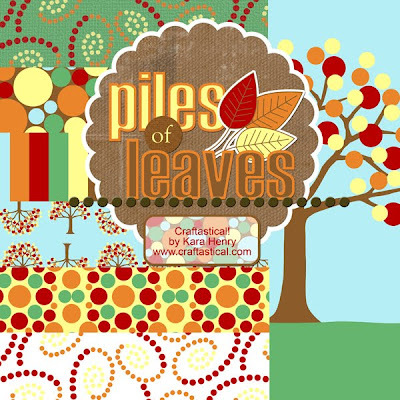 I want to let you know that I posted a link to your blog in CBH Digital Scrapbooking Freebies, under the Page 4 post on Nov. 26, 2009. Thanks again. I love your LOs, they are gorgeous!